Initially I had planned to construct the base using t-slot aluminium profile, a familiar approach which I had seen many times whilst researching this project on the internet. Unfortunately, purchasing generic t-slot style extrusion proved to be very difficult, if not impossible on this side of the world (New Zealand). Shipping from overseas was prohibitively expensive and the only stock available locally was either Bosch Rexroth or Minitec, both of which were ridiculously priced at $150+ per metre length! As a result, I decided to construct the base frame out of rectangular steel sections, 100 x 50 x 4 mm for the side rails and 50 x 50 x 2.5 mm for the cross beams. Some would consider 4 mm thick wall section for the side rails as ‘overkill’ but the reason I selected this was that the extra thickness to ensured robust tapped holes and also would help prevent heat induced warping. This warping is caused by the high local temperatures caused in parts of the steel by the welding process. 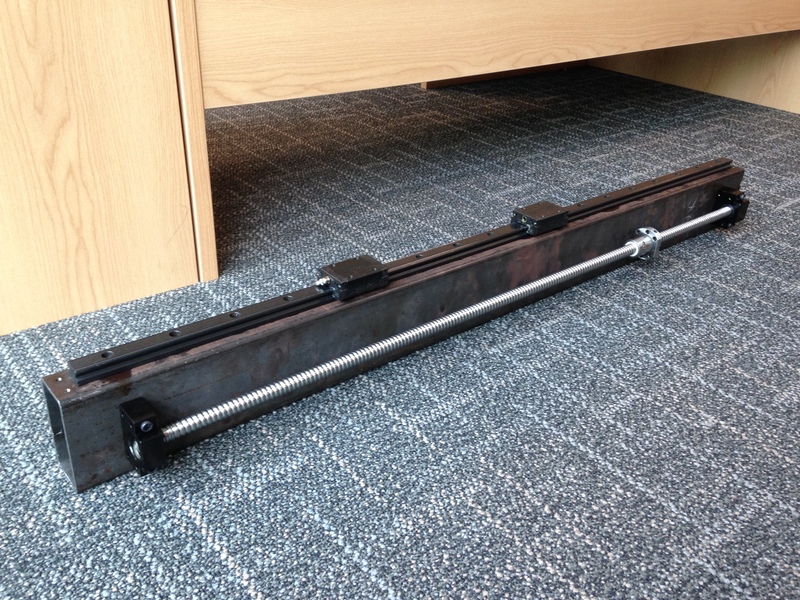 It was something that I was particularly worried about, as the geometry of the side rails was fairly critical to ensure straight and true linear slides on my Y axis. I began the construction by cutting the lengths to size and carefully drilling/tapping over 60 holes into the steel sections. 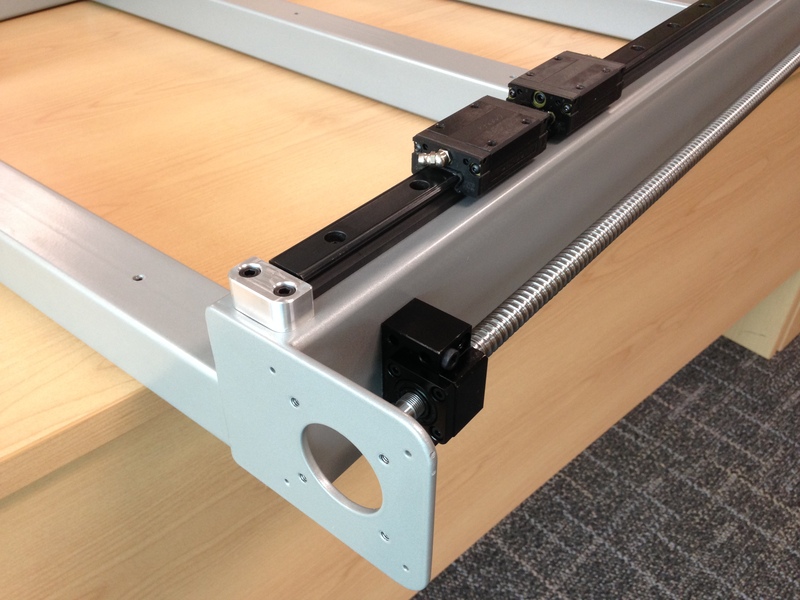 An initial fitting of the linear slides and ballscrews was performed to ensure everything was correctly placed. 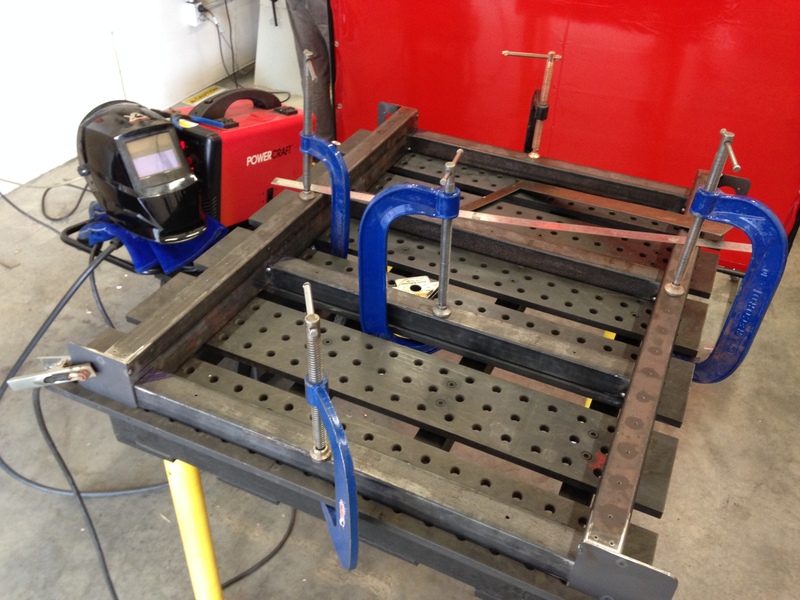 The pieces were then carefully clamped and MIG welded together. 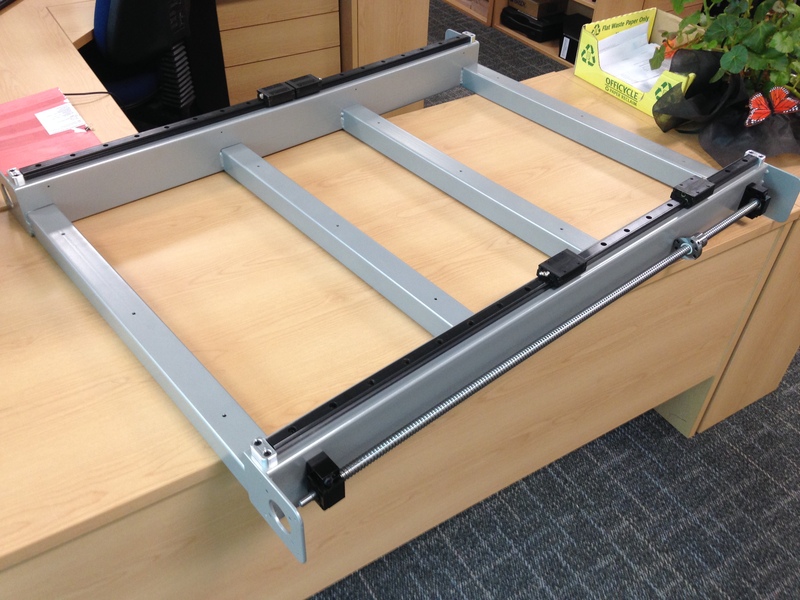 The frame was then powder-coated, resulting in a professional finish. I must admit that my welding skills are limited and this caused me to be slightly anxious about taking the steel fabrication approach to constructing my CNC base. I was well aware that it needed to be constructed with a relatively high level of precision, but decided to attempt it anyway. 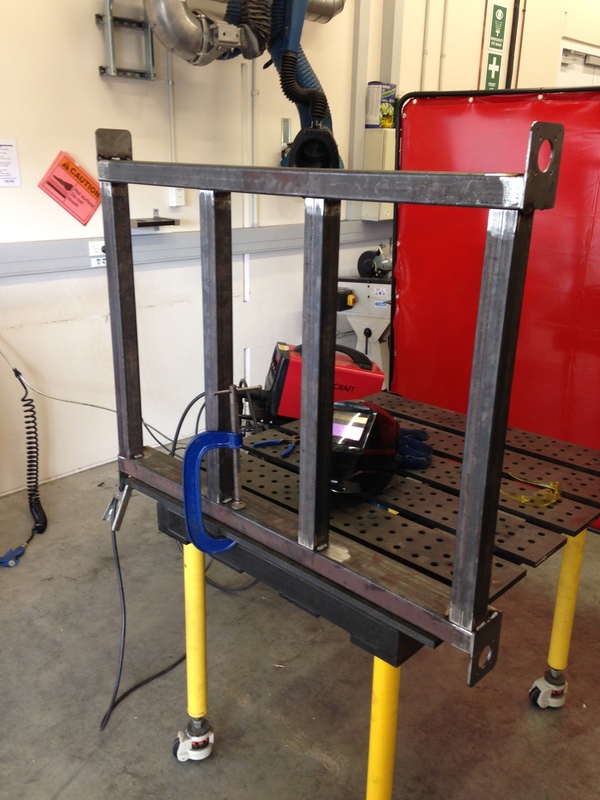 In my mind, the most important thing was that the geometry of the base was as square and straight as possible and therefore I was careful to measure and clamp all of the individual sections before welding. I also spent a significant amount of time researching welding techniques in order to achieve the best results and minimise the risk of heat induced warping. In hindsight, I am glad that I stepped up to this challenge and am very happy with the result. The construction of the base frame was one of the project’s biggest hurdles, it’s completion showed the commitment I had made and gave me the motivation to complete the rest of the project.